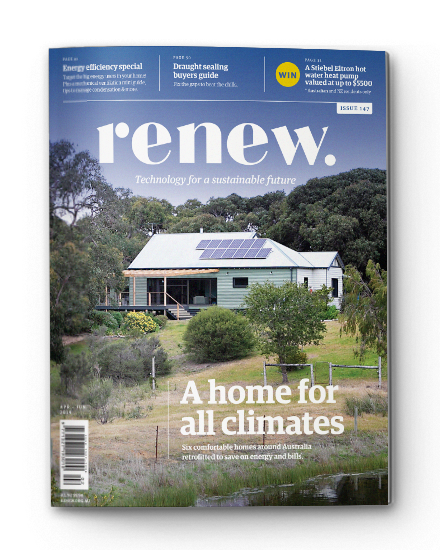 Join Renew, Australia’s leading not-for-profit organisation promoting sustainable living, in the position of Electric Vehicle Expo Site Manager. Renew’s Electric Vehicle Expo is Australia’s largest gathering of electric cars, bikes, motorbikes, scooters and skateboards. The event offers a unique experience for attendees to test-drive and ride a diverse range of electric vehicles, learn more about the future of electric vehicles in Australia from exhibitors and talk to owners about their EV experiences. 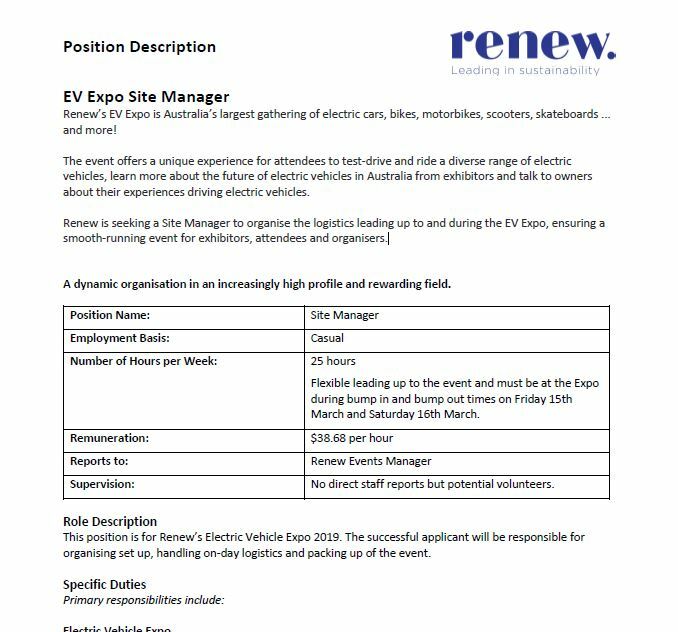 Renew is seeking a Site Manager to organise the logistics leading up to and during the EV Expo, ensuring a smooth-running event for exhibitors, attendees and organisers. Send your application to Jodi Rashbrook at jodi@renew.org.au; (03) 9631 5421.